Victoria Sophia ：also called Prince, is the flagship for Victoria's upgraded fleet. 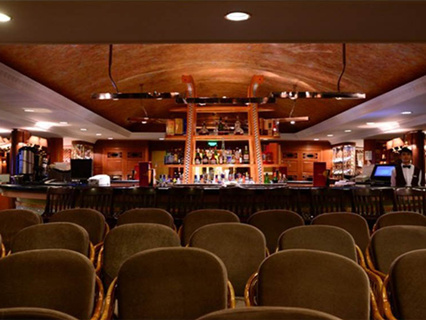 Specifically designed to accommodate both leisure and business travelers, the Victoria Sophia has over 1200 square feet on the upper floor, with conference rooms, space for cocktail parties, private meetings, and guest lecture sessions. 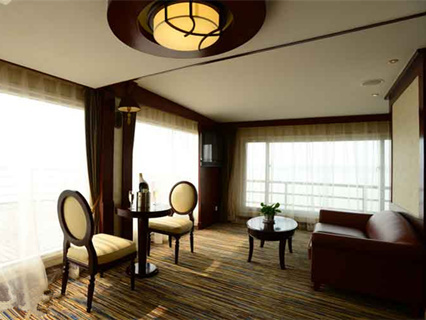 The Victoria Sophia has been redesigned with private balconies for all cabins to allow intimate, private viewing of the scenery of the Three Gorges. 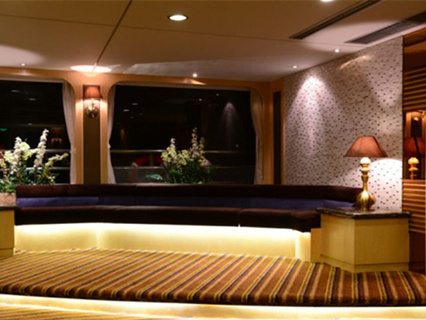 The Victoria Sophia's hospitable, well-trained staff makes passengers feel comfortable and at home aboard this floating hotel. Western or Chinese massage, facials, and hairdresser in Beauty Salon; Single-seating in Dynasty Dining Hall includes: full American buffet breakfast, buffet lunch with Western and Chinese selections, evening banquets with Chinese delicacies and Western dishes; complimentary coffee, tea, cold drinks with each meal, local beer included with lunch & dinner. Embarkation at Chao Tian Men Dock #5, Chongqing. Check in between 18:00 to 20:30. Set sail from Chongqing at 21:00. Safety briefing at 21:15. Early bird coffee and tea from 6:30 to 7:00. Meanwhile, practice Tai Chi exercise. Have buffet breakfast (7:00-8:30). Shore excursion to Fengdu "Jade Emperor" at about 8:00. Afterwards, You can choose to take an optional shore excursion to Fengdu Ghost City (CNY295 per person), which is known for its statues of ghosts and devils on Mingshan Hill. Have buffet lunch at 12:00. In the afternoon, you can join the activities on the cruise. Then there will be a Captain's Welcome Reception(17:15 - 18:00). Buffet dinner from 18:00 to 20:00. At 19:00, there will be an optional shore excursion-FengYan SanGuo "Romance of the Three Kingdoms" Show(CNY295 per person). 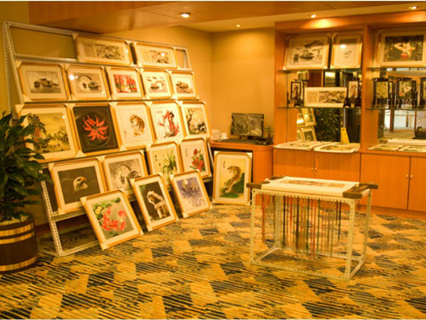 Enjoy a visual feast and get to know Chinese history. Early bird coffee&tea and Tai Chi exercise from 6:30 to 7:00. Have buffet breakfast (7:00-8:30). Optional shore excursion to White Emperor City (CNY295 per person, 7:30-10:15), an ancient city overlooking the western end of Qutang Gorge. Meanwhile, various activities are available on the cruise. At around 10:45, sail through Qutang Gorge, the shortest (5 miles), narrowest (500 feet), and most dramatic gorge. Enjoy the scenery of Wu Gorge at 12:45. The character Wu in Wu Gorge means witch, which is named after the Wu County in Chongqing municipality and represents the mysterious scenery in this Gorge. 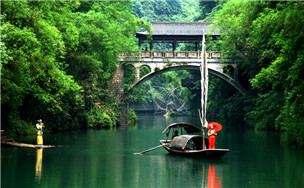 In fact, Wu Gorge is considered as the most beautiful and elegant gorge among the three gorges. The most famous scenic spot in Wu gorge is the goddess peak, where on the peak, there is a goddess stone. In the evening, there will be a Captain's Farewell Banquet. Later, enjoy Crew cabaret on the cruise. Buffet breakfast in the morning. At 8:00, shore excursion to the Three Gorges Dam Site. Three Gorges Dam lies in the south bank, a town named San Dou Ping. This town is a core area for visitors' observing the Three Gorge Dams. Then take a shuttle bus to Yichang. At about 12:30, arrive at Yichang Three Gorges Center Cruise Terminal. That's the end of the tour. 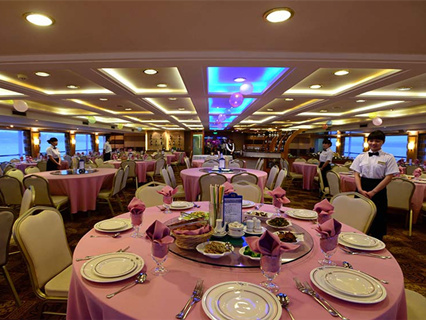 Optional shore excursion(CNY295 per person): Ferry sailing through Three Gorges Project Ship's elevator. It is the largest of its kind in the world, capable of lifting ships of up to 3,000 tons. It is nearly the height of a 40-story building, with a water volume equivalent to 4 Olympic swimming pools. It takes only 40 minutes to travel a vertical distance of 113 meters (370 feet). Note: Please note that all arrival and departure times, shore excursions & lectures are subject to change due to weather, river conditions and permission, from the navigational authorities. 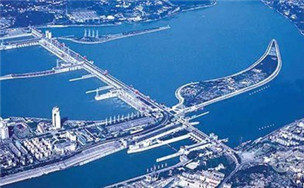 Meet at Yichang Three Gorges Center Cruise Terminal (16:30-20:00). Then take a shuttle bus to Maoping pier (suburb of Yichang) for embarkation. Early bird coffee&tea and Tai Chi exercise from 6:30 to 7:00. Have buffet breakfast (7:00-8:30). In the afternoon, shore excursion to the Three Gorges Dam Site. 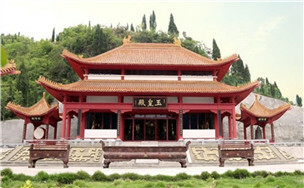 Three Gorges Dam lies in the south bank, a town named San Dou Ping. This town is a core area for visitors' observing the Three Gorge Dams. After shore excursion, you can join the activities on the cruise. Then there will be a Captain's Welcome Reception(18:15-19:00). Buffet dinner from 19:00 to 20:30. Watch Minorities and Dynasty Costumes Show at 21:00. Early bird coffee&tea and Tai Chi exercise from 6:30 to 7:00. Have buffet breakfast (7:00 - 8:30). Sail through Wu Gorge at 7:00. The character Wu in Wu Gorge means witch, which is named after the Wu County in Chongqing municipality and represents the mysterious scenery in this Gorge. 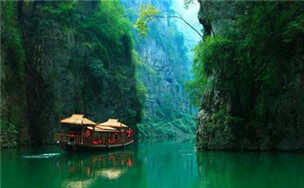 In fact, Wu Gorge is considered as the most beautiful and elegant gorge among the three gorges. At about 8:45, transfer to a boat to visit Shennong Stream(4 hours). Buffet lunch after the shore excursion. In the afternoon at 14:45, sail through Qutang Gorge, the shortest (5 miles), narrowest (500 feet), and most dramatic gorge. 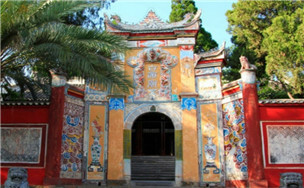 Later join activities on the cruise or take an optional shore excursion to White Emperor City(CNY295 per person). Buffet dinner from 19:00 to 20:30. Enjoy Cabaret show at 21:00. Early bird coffee&tea and Tai Chi exercise from 6:30 to 7:00. Have buffet breakfast (7:00-8:15). Join the activities on the cruise. 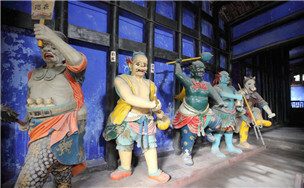 In the afternoon, shore excursion to Fengdu "Jade Emperor". Afterwards, You can choose to take an optional shore excursion to Fengdu Ghost City (CNY295 per person), which is known for its statues of ghosts and devils on Mingshan Hill. Captain's Farewell Banquet at 19:00. Settle accounts in the evening. Buffet breakfast in the morning. Check out at 7:30 and disembark at 8:00 in Chongqing. That's the end of the tour. Shore excursions specified in the itinerary. Tips (CNY 150/person). Optional sightseeing as mentioned above. 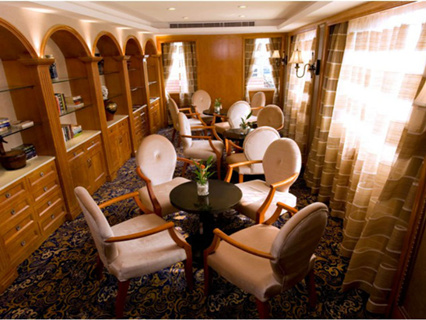 Room upgrading fee: CNY 300 per person for each floor. Personal expenses such as laundry, pay TV and so on. There are only two beds in a cabin. Most of the ships do not provide extra bed, so you may need to reserve another cabin, or a half cabin (0.5 cabin) for the third person (for an adult or a big child) . If you want to take a whole cabin for the third person, a single supplement of 75% to 100% of a single ticket is required. If you only take a half cabin, or only "a bed", the price is the same but he/she need to share the cabin with a stranger. The cruise Jangtze Gold 2 is very confortable, nice room, elegant ship new, the staff is professional and We was few occidental people but the have a lot of regards for our need. The period was very crowded for national week in China, but all was in perfect time. For our experience the three gorges are not more..